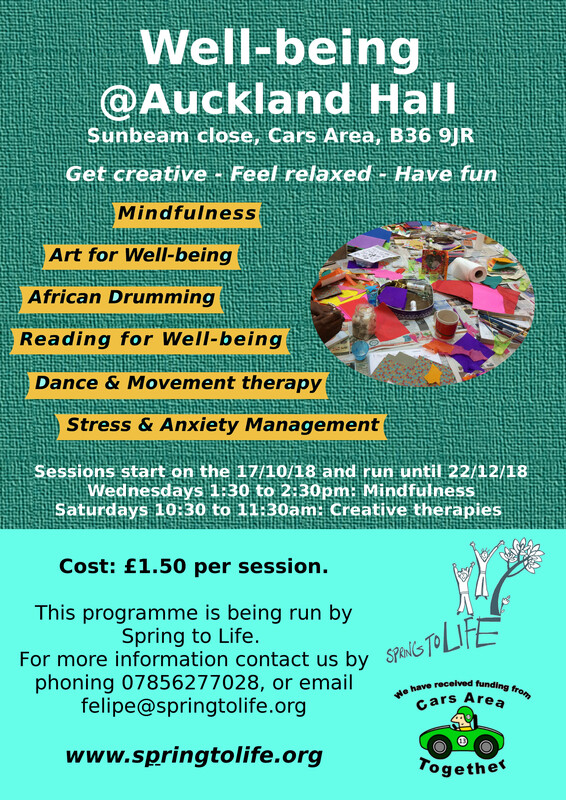 We have recently received funding from Cars Area Together (Big Local) to run a ten week well-being programme in the Cars Area, Smithswood. 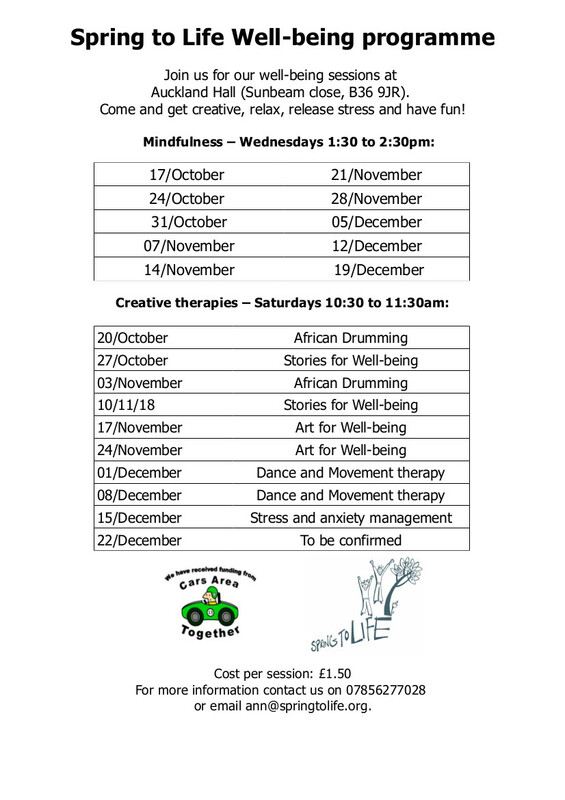 Starting on the 17th of October we will run sessions at Auckland Hall (community centre). 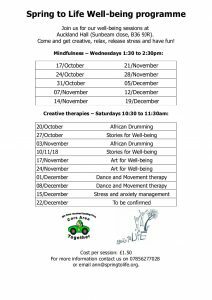 Wednesdays between 1:30 and 2:30pm will be mindfulness, and Saturdays 10:30 to 11:30 will be a mix of creative therapies. 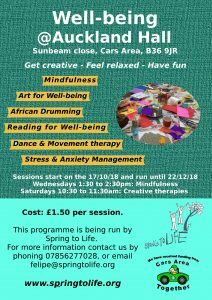 Check out our literature below for more information of exact sessions and times and other details. This entry was posted on Sunday, October 14th, 2018 at 11:56 am	and is filed under News. You can follow any responses to this entry through the RSS 2.0 feed. You can leave a response, or trackback from your own site.